The solid control system complies with SY/T6276 and ISO/CD14690 “Health, Safety, environmental protection and environmental management system of Petroleum industry”. The process and equipment comply with API 13C and relating standards and regulations. The Solids control solutions is explosion proof, anti-corrosion and leakage proof. The electric apparatus is DIIBT4 explosion proof, while the motor is out-of-door explosion proof motor. 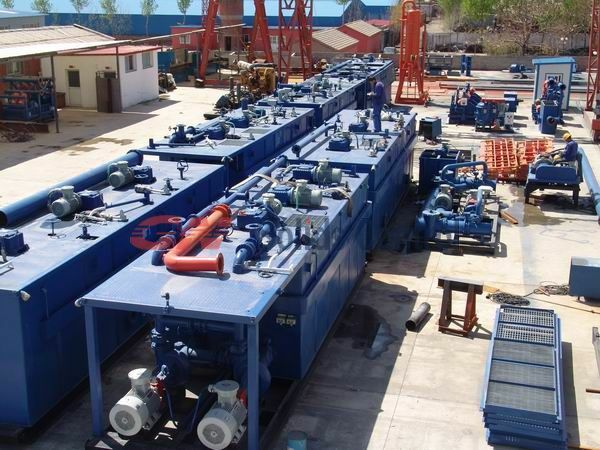 To get solids control solutions from -GN solids control.Your best oilfield solids control solution provider.Best price,unlimited solutions.